In May, KQED proudly celebrates the diversity of our community with a special Asian Pacific American Heritage Month programming lineup on KQED Public Television. Become immersed in a space in San Francisco’s Chinatown that is vital to the well-being of the community and serves its most vulnerable — the poor, immigrant, monolingual and elderly. In 1942, nearly 120,000 Americans of Japanese ancestry were forced into prisons because they looked like the enemy. Two of those prison camps were in Arkansas, a land of deep racial divide. This film chronicles the trauma of this incarceration experience and how it’s been passed down through multiple generations. 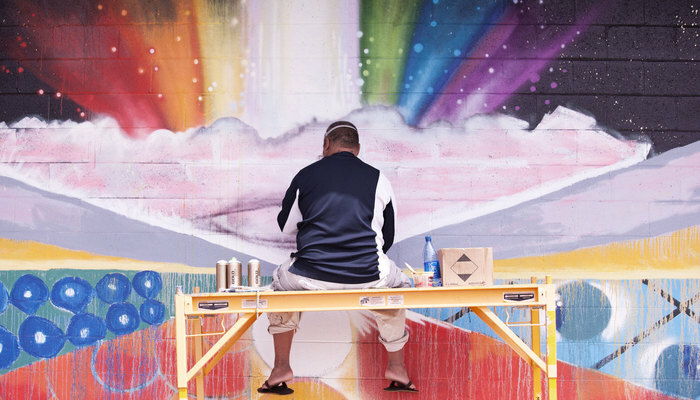 This documentary shows the transformative power of art through the unlikely union of graffiti and ancient Hawaiian culture. In 2001, the tiny Pacific island of American Samoa garnered headlines across the world as the worst football team on the planet. Next Goal Wins is an inspirational story about the power of hope and what it really means to be a winner. This program chronicles the life of Tommy Kono, one of America’s greatest Olympic champions. This film is a Hawaiian story of pain and promise, of challenge and triumph, and of leadership. Wayne Wang, director of The Joy Luck Club, takes us into the world of Cecilia Chiang, who introduced America to authentic Chinese food. This program explores the fascinating, little-known Tiki culture, culminating with a visit to the annual Hukilau celebration. 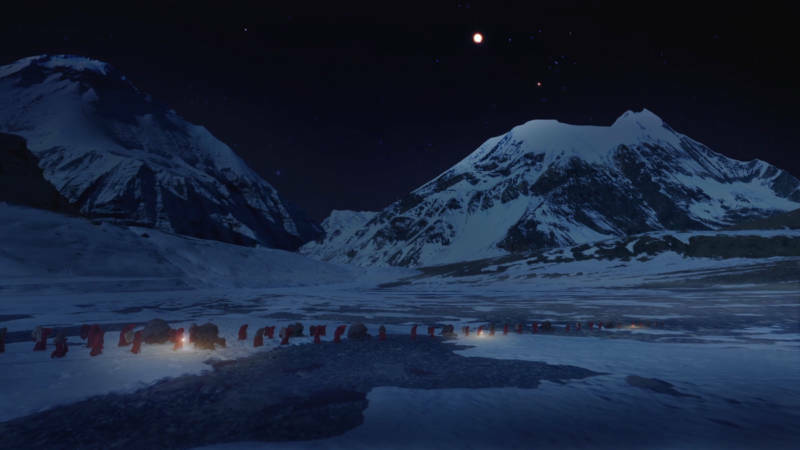 Ever The Land explores the sublime bond between people and their land through the story of the relationship between the Ngai Tuhoe tribe and the New Zealand government. Explore the impressive city in the great Thar Desert of West India. This film chronicles the Chinese experience in America around 1885, the year when the Chinese residents of Tacoma were forcefully expelled from the city. Go into the kitchens, factories, temples and farms of Asian Pacific America to explore how the bond with food reflects an evolving community. Twin sisters separated at birth finally find each other on opposite sides of the world and discover that not only do they look and act alike, but they are unmistakably and inextricably connected to each other. This documentary centers on an exciting string of mathematical discoveries. Telos chronicles the unorthodox life and revolutionary work of Eugene Tssui, an eccentric visionary and a maverick architect. Legendary musicians Robert and Roland Cazimero perform an enchanting array of original compositions and island standards. Join Bill Ball as he attempts to find India’s mega-animals: the elephant, buffalo and rhino. This documentary presents an uplifting examination of differences in culture as it contrasts the way children travel to school in America versus Japan. Discover the secrets of how kamikaze weapons were built and launched. Take a behind-the-scenes look at preparations for the 50th annual Merrie Monarch Festival in Hilo, Hawaii. Every major country has a destination that is incredible but not well known to outsiders — Jaisalmer is such a place. Hosted and narrated by ukulele virtuoso Jake Shimabukuro, the film tells the story of music teacher Harry Urata and his efforts to record, preserve and perpetuate the histories of holehole bushi. Review a transitional year in the life of farmer, slow-food advocate and sansei David “Mas” Masumoto and his relationship with his daughter Nikiko. This documentary is the story of one Tibetan refugee lama and his efforts to preserve the sacred texts of his tradition. Learn how the people and wildlife of the western state of Gujarat have found ways to survive in an inhospitable environment. Filmmaker Peter Wakamatsu’s unique war documentary is told through the eyes of the men who fought in combat. Get an introduction to Hawaii’s most famous and most misunderstood dish. Dramatic eyewitness footage reveals the shocking quake that rocked Nepal in April 2015. 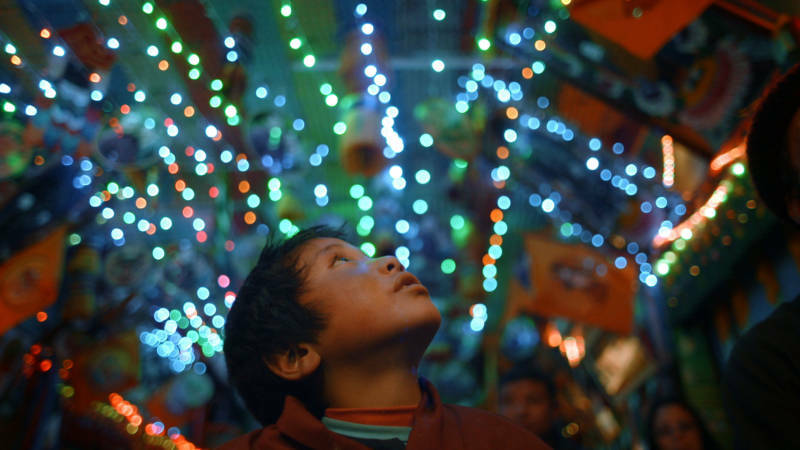 Meet Pyanki, a nine-year-old monk living in a Bhutanese village who is about to get access to his first television. How will these images shape a child so isolated from commerce, materialism and celebrity? 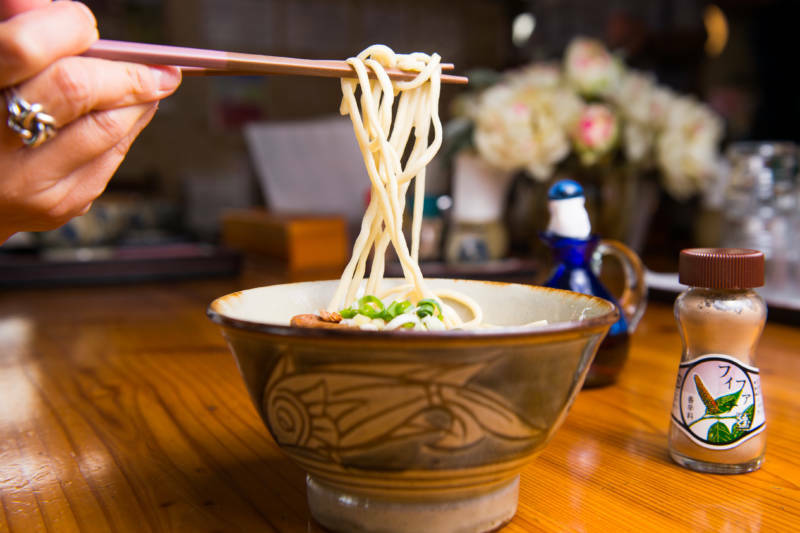 Don’t confuse Okinawan soba with Japanese soba. The blend of noodles, soup and pork spare ribs embodies the spirit of the Okinawan people and the complex history of their islands. Modern seafarers proved that Polynesians navigated their world in canoes, following the stars. Meet a crew member on a worldwide voyage with a stop at his ancestral home. This program profiles the Pidgin language from its rise as plantation jargon to a source of island identity and pride. The documentary follows a year in the life of Kosal Khiev, who was born in a refugee camp in Cambodia, as he navigates his new fame as Phnom Penh’s premiere poet. This program explores the Cambodian genocide (1975–1979) and its lasting impact through the eyes of a former Khmer Rouge child soldier. This film focuses on Hmong Pa Dau (Story Cloths), hand-made textiles that are integral to what it means to be Hmong in America. Follow a Japanese American family as they return home from an Arizona relocation camp and band together to pursue the American dream a second time. Hear the story of an unlikely group of heroes that took matters into their own hands when the North Vietnamese forces closed in on Saigon in the Vietnam War. Explore Maui’s geological and spiritual birthplace — the Haleakala volcano. Learn how a group who hailed from what was once considered the “worst school” in Hawai’i came to proudly represent the United States in world’s largest art festival. This film chronicles the staging of the American musical Fame — China’s first official collaboration with Broadway — by the senior class of the country’s top drama academy. Ka Hana Kapa documents the history of kapa (bark cloth made from the wauke plant) in Hawai’i and follows the complex process of making it from start to finish. 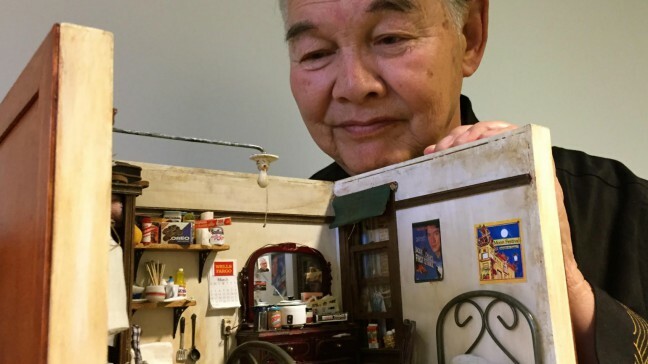 Forever, Chinatown is a story of self-taught, 81-year-old artist Frank Wong who has spent the past four decades recreating his fading memories by building romantic, extraordinarily detailed miniature models of the San Francisco Chinatown rooms of his youth. Filmmaker Christen Marquez’s drive to learn the meaning of her enigmatic Hawaiian name impels her to unite her scattered family and come to terms with her estranged, mentally ill mother. This documentary recounts the moving and haunting stories of four former detainees from the Poston Relocation Center, which housed more than 18,000 Japanese and Japanese Americans. This film explores the hopes and dreams of the surfers of Vanimo, Papua New Guinea, and how surfing has led to societal changes in a male dominated culture. Her passport said she was Cha Jung Hee. She knew she was not. So began a 40-year deception for a Korean adoptee. A revealing account of contemporary China’s response to the 2008 quake in Sichuan province. Explore the history, culture and conflict surrounding the John Frum Movement, the last surviving cargo cult. 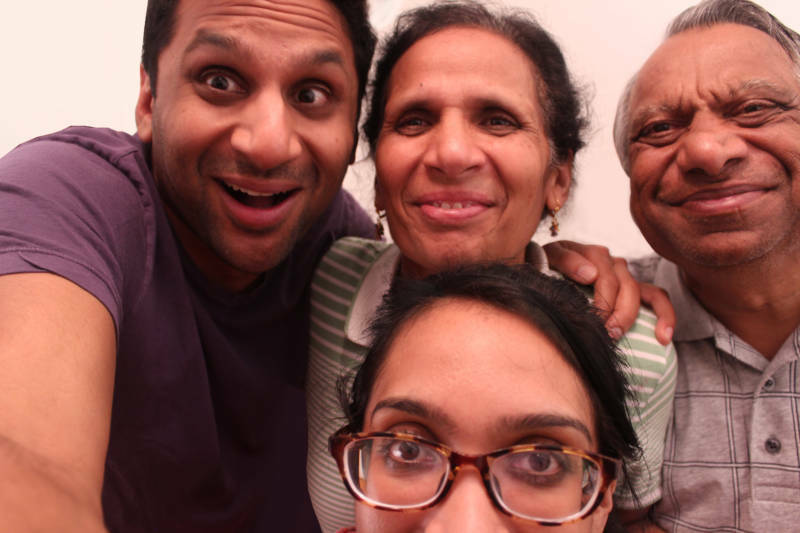 Meet the Patels explores the influences of culture and identity on the most intense, personal and important part of one’s life — love. Retired NBC Universal executive Paula Williams Madison and her brothers, Elrick and Howard Williams, embark on a journey to uncover their ancestral roots. This film follows five young women in Myanmar (Burma) breaking free of tradition in their search for an original voice. Emmy-winning filmmaker Duc H. Nguyen follows the stories of Vietnamese refugees who have been living in a condition of statelessness in the Philippines for 16 years while awaiting a rare opportunity for resettlement in the United States. Dinesh Sabu sets out on a journey across the United States and India to piece together his parents’ story. Having lost the opportunity to come out to her own mother, an Indian lesbian filmmaker, now living in the United States, travels across India to meet with parents of other gay and lesbian South Asians. Upon his father’s death, a classically trained guitarist returns to the Philippines after 12 years of absence. During his stay, he rediscovers the music of harana. This film tells the story of farm labor organizer Larry Itliong and a group of Filipino farm workers who instigated one of the American farm labor movement’s finest hours — the Delano Grape Strike of 1965. Two women are at odds over a plan to rebuild one community with houses taken from the other. One Child follows the journey of three families as they try to restore a sense of normalcy and struggle to move past the loss of their children after the 2008 Sichuan earthquake. As the young leave rural areas in southeastern Korea to acquire higher education and find high-salary jobs, there are no services or people to support old people – except one man named Uncle Joe. An intimate family story reveals the impact of America’s Chinese Exclusion Acts on one family, over two centuries, in three countries on four generations of women. Is Japanese society bound to the pursuit of efficiency at all costs? This program paints an intimate portrait of Eddy — the prisoner, the immigrant, the son and the activist — on his journey to freedom, rehabilitation and redemption. This film provides a unique look into the challenges LGBT people face as they transition into the mainstream and fight for dignity, legitimacy and acceptance across the globe. Prev Win Tickets to Your Pick of Shows at the Swedish American Hall Next #ILoveKQED: We Want to Hear From You!